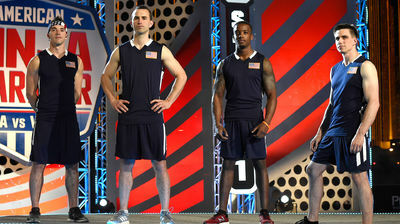 Team USA features impressive veteran ninjas Drew Drechsel and "The Weatherman" Joe Moravsky. A speedy competitor, Drechsel has qualified for the finals in Las Vegas five times and made it to Stage 3 two times. Five-time competitor Moravsky has made it to Stage 3 on the Las Vegas finals course three times, more than any other athlete in the competition. Also joining Team USA this year are former nationally ranked gymnast and head coach/trainer Najee "The Phoenix" Richardson and Sean Bryan, the "Papal Ninja." Bryan is also a former competitive gymnast and NCAA athlete who enjoyed a breakout season on "American Ninja Warrior" this past summer.